How many here remember the film Groundhog Day, starring Bill Murray? It was about a man who was cursed to relive the same day over and over again until he learned to love others more than himself. I feel like we are in that movie, reliving the same day. For it is now two weeks since Easter Day, and we are still hearing a Gospel reading that takes place on the evening of the Day of Resurrection. Maybe the editors of the lectionary think we still have a lesson to learn from that great day. And maybe they’re right! Today’s Gospel reading is the familiar story of the meeting on the road to Emmaus. It’s so familiar that we are tempted not to pay close attention. But we should! It is early evening on the day of Jesus’ Resurrection, when two dispirited disciples decide to give up and head home. One disciple is a man named Cleopas. 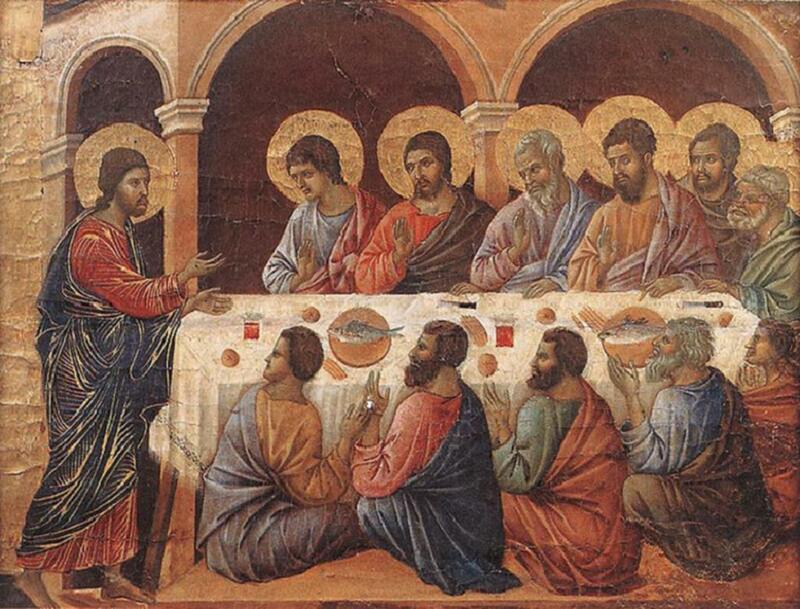 The other disciple is not named and could possibly be a woman. The two are discussing Jesus’ death when they are joined by a stranger. The Gospel says that their eyes were forcibly restrained, so that they might not recognize the stranger as Jesus. And unlike Mary Magdalene, neither do they recognize Jesus’ voice. We can only assume that Jesus was the source of this restraint. No reason for it is given. But I suspect Jesus’ plan was to open their minds and their hearts before opening their eyes. Jesus inserts himself in their conversation, asking them what they are discussing. They go on to tell him, speaking of Jesus as a prophet who had been handed over by the Judean authorities and crucified. It is telling that they do not profess Jesus as the Son of God, but only as a prophet. 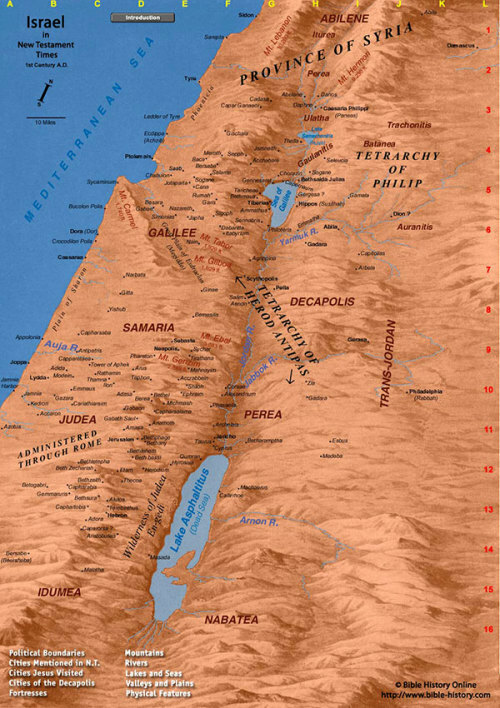 They had hoped that Jesus was the Messiah, sent from God to free Israel from Roman rule. They had hoped that he would be a great warrior-king. But now all their hopes are dashed. They go on to relate the story of how some women in their group claimed to have had a vision of angels, but it is clear that they think this but an idle tale. The account of the Resurrection found in John’s Gospel holds a certain distinction. It is the only Gospel account that can be read at Easter in every year of our liturgical calendar. This Resurrection account is distinct in another way as well. It is by far the most vivid account of the events of that day, with details that distinguish it from the other three Gospels. Those details merit some attention. So, for the first part of this sermon, I would like to give a running commentary of the story that you just heard proclaimed, with a special focus on Mary Magdalene. Think of it as being like the director’s commentary you find on some DVDs. 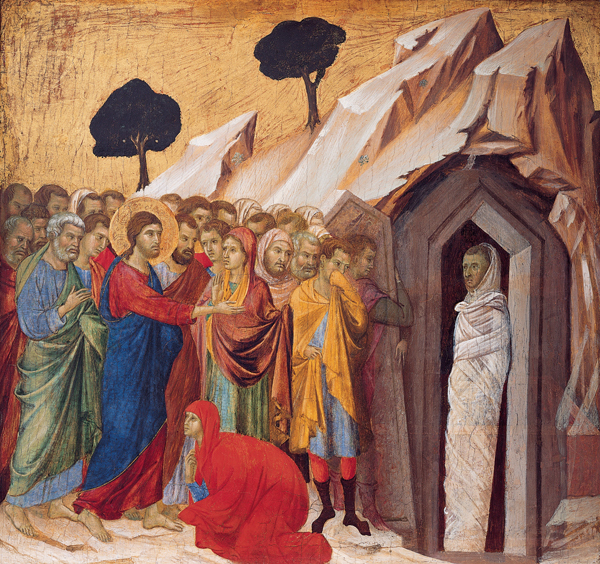 Mary Magdalene goes to Jesus’ tomb before the sun has even risen and finds the stone rolled away from the mouth of the tomb. She jumps to the conclusion that grave robbers have stolen Jesus’ corpse. She panics. Without even looking in the tomb, she runs to Peter to report. 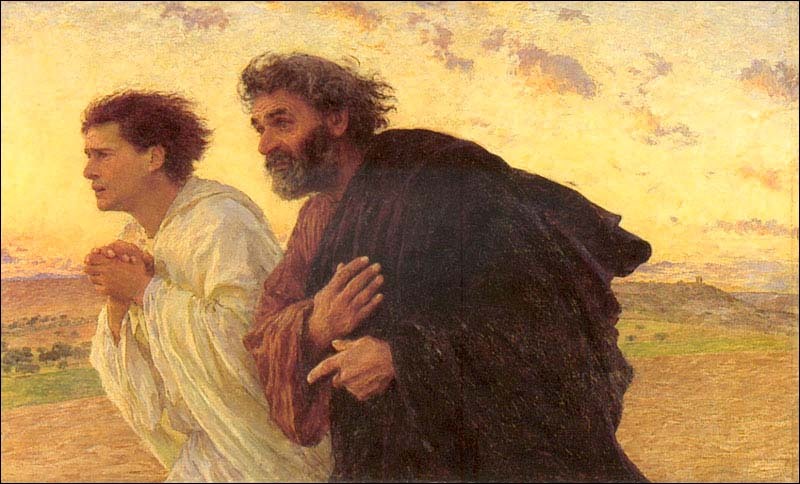 Peter and the Beloved Disciple (who was with him at the time) race to the tomb. Like two children, they race. The Beloved Disciple gets there first, but then balks, cautiously peeking into the tomb but not entering. Peter, never one to give much thought before acting, barges right in. They find the tomb empty, except for the linen cloths that had been wrapped around the body of Jesus. We are told that at that moment the Beloved Disciple believes but does not understand. Evidently, Peter doesn’t know what to think. They both go home, one believing and one just perplexed. 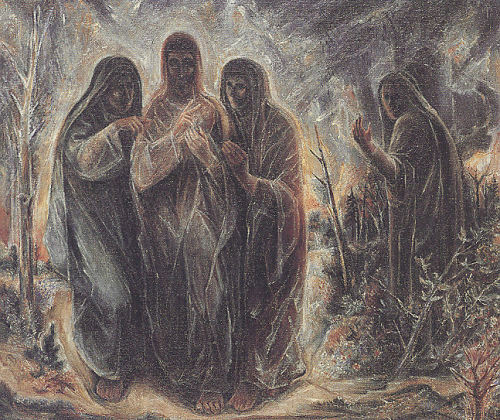 At some point, Mary returns to the tomb. Perhaps she followed behind the two disciples during their footrace, unable to keep up with the boys. We find her standing desolate, weeping. 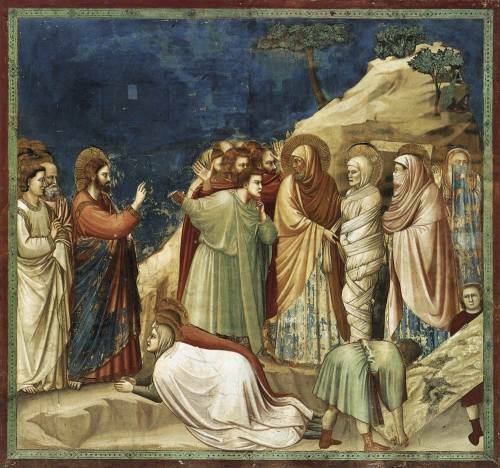 She waits till Peter and the Beloved Disciple leave the scene before she dares to peek into the tomb herself. Instead of seeing the grave linens, she sees two angels sitting on the shelf where Jesus’ body had been laid. Everywhere else in the Bible, the appearance of angels causes fear and trembling. But Mary is so numb that the divine messengers don’t seem to make any impression on her at all. Speaking in unison, they ask why she weeps. (Although surely, they knew the answer.) She shares her fear that the body of her beloved teacher has been stolen.